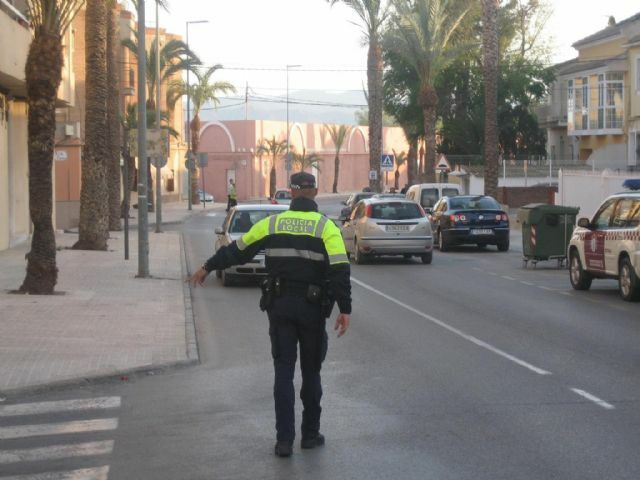 A total of 180 members of the Local Police bodies of 19 municipalities of the Region of Murcia are being trained throughout this year in drug detection in drivers, in an initiative promoted by the Community, through the Training School and Innovation of the Public Administration (EFIAP) of the Ministry of Finance, and in which the Provincial Traffic Headquarters, the Civil Guard Traffic Association, the Road Safety Prosecutor and the Forensic Sciences and Forensic Sciences Institute collaborate. Murcia. The last of the six planned courses of "Instruction on police procedures in crimes against Road Safety, Detection of drugs, narcotics and psychotropic substances in drivers", will begin next Monday, November 12 in Totana (5:00 p.m. Local Police, Calle del Pilar, s / n, 30850 Totana). In this training action 35 local police from the bodies of Totana, Alhama, Mazarr�n and Águilas will participate. For its organization, it has counted on the collaboration of the City Council of Totana and especially of the Head of the Local Police, Alfonso Canales. The five remaining training activities were given in the months of June, October and November in Murcia, Lorca, San Javier, Ceheg�n and Archena, and agents and officers of the local police of municipalities of the area participated. With this initiative, the Community has responded to the demands made by the Police Headquarters and the city councils to EFIAP, which always has the inter-administrative collaboration of the aforementioned entities. The training program includes an inaugural session imparted by Pablo Lanzarote Mart�nez, Public Safety Attorney of the Region of Murcia, on the crime of driving under the influence of toxic drugs, narcotics and psychotropic substances of article 379.2 of the Penal Code. Another session addresses regulatory, legislative and procedural aspects, as well as the completion of proceedings and the processing and annotation in Provincial Headquarters, which is the responsibility of Mar�a de los Ángeles Mart�nez Ripoll, Head of the Administrative Affairs Service of the Murcia Traffic Authority . On the other hand, the forensic doctor Mª del Carmen Torres S�nchez, head of the Clinical Service of the Institute of Legal Medicine and Forensic Sciences of Murcia, faces the exploration of the external signs related to drug use, the detection of drugs of abuse in fluids biological and the elements of the chain of custody and cold. The course is completed by different theoretical sessions and practices on the public highway by Captain Agapito C�novas and sergeant Antonio Cobarro of the Traffic Association of the Civil Guard.